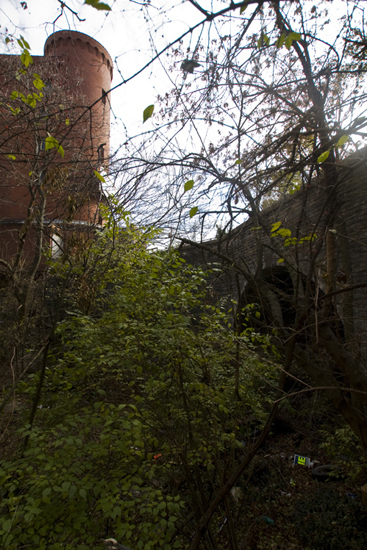 Queen City Discovery: Beneath Your Feet - Exploring a Forgotten Railroad Tunnel - and More. 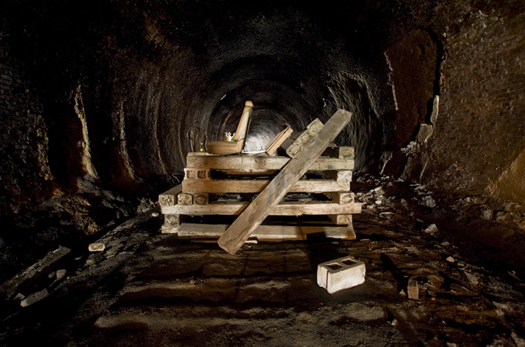 Beneath Your Feet - Exploring a Forgotten Railroad Tunnel - and More. Nearly two years ago I first learned about the nearly forgotten CL&N RR Tunnel. About a month ago I was crawling through thorn bushes along I-71 trying to find it. Before I ever thought of creating this website and while I was still getting used to my refurbished Olympus Digital SLR Camera (I now shoot Canon), I read about a group of explorers who had ventured to the tunnel the summer before I found out about it (2006). Their claim: "This train tunnel was built in 1881 and used for freight operations and access for a major railyard that was demolished to make way for Interstate 71. It was used as the setting for the ghost train scene in Ghostbusters II and a shooting platform built of railroad ties still sits in the middle of the tunnel. 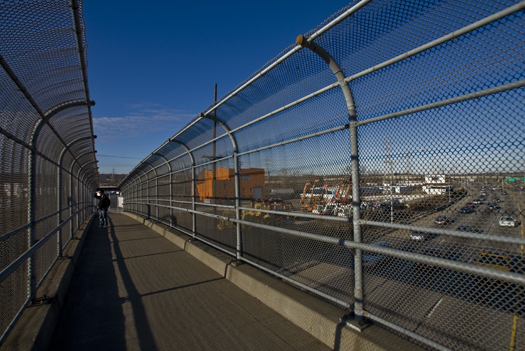 It has been retained in the hopes that it might be used for light rail eventually." 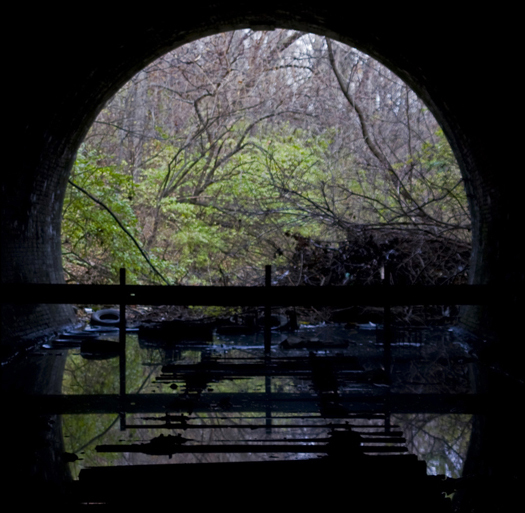 As I started getting into both Urban Exploring and photography more and more, I added the CL&N tunnel to my list of places to see, but never got around to it or knew anyone who knew where it was located or was willing to go. I did some reading and was able to dig up a lot about the history of the CL&N rail line. The Cincinnati Leabanon and Northern (CL&N) Railroad ran passenger service from Cincinnati, Ohio through Lebanon, Ohio to Dayton, Ohio from 1881 until the late 1930's. Passenger service ended and the line was used mostly for freight until the late 80's when it was abandoned. Today most of the track remains along the railroad's old right of way with many other remnants located along the line, many of them within the city limits of Cincinnati. The right-of-way of the former rail company was purchased by the Southern Ohio Regional Transit Authority (SORTA). 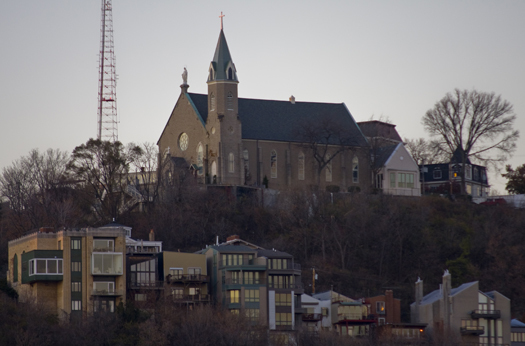 SORTA, a publicly funded group who runs and maintains the area's METRO bus service, purchased the line in hopes of one day utilizing it as part of a future light rail line. 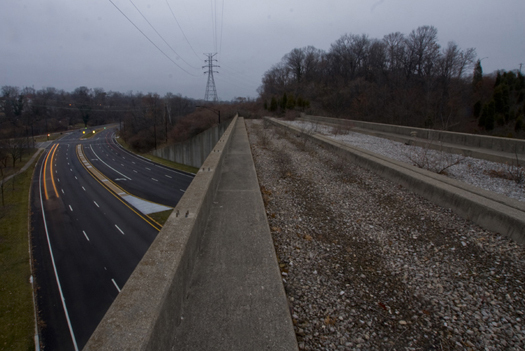 The lines proximity to I-71 and Northern route through the growing, rich suburbs of Blue Ash and Mason make it an ideal piece of property for a light rail line connecting downtown and suburban business. However, until light rail is approved by voters, it will continue to be a dream and the remnants of the line will remain abandoned. Anxious to locate the tunnel and explore it, Zach, Sherman and myself made an attempt to locate the tunnel. After debating the location of the tunnel, we spent nearly an hour climbing through mud, thorns, bushes and weeds to reach a different tunnel which can be read about in the previous entry "Adventures in Avondale, in Search of The Ghostbusters." We were curious as to see if there was any legitimate evidence to support the claim that the "Ghost Train" scene from the film "Ghostbusters 2" had been filmed there. (To see the scene click here. Although, as you may have read in the previous article, we ended up finding the wrong tunnel and gave up our search as night fell. 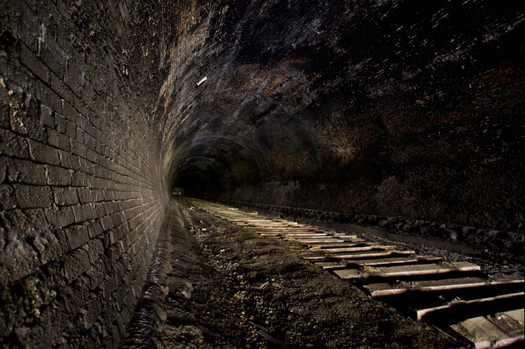 -While it served the same rail line, this was not the 1/3 mile long "Ghostbsuters" tunnel we were hoping to find. One week later Zach and I were searching again. This time we had located the correct location of the entrance. Contrary to the last adventure which took us to the edge of the busy interstate through tough terrain, the entrance to the main tunnel was nestled beneath a quiet neighborhood. Using the "castle like" Atlas Van Lines building as our marker, we located the North portal of the 1/3 mile long tunnel. 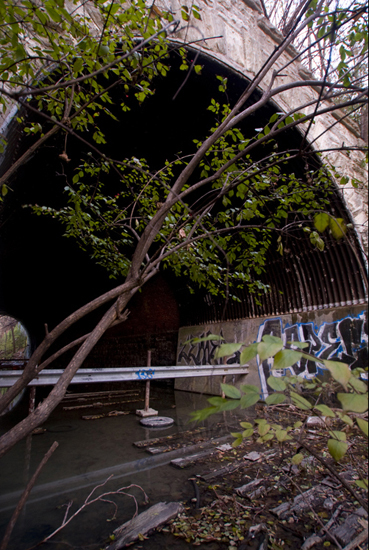 -The North portal, this tunnel is nestled below city streets and neighborhood homes for 1/3 of a mile. As we crept down through the brush it became evident many people use this are as a trash dumping ground. Despite the refuse everywhere, getting to this tunnel was far easier than the last one. Before we could enter the tunnel though, one more obstacle lay in our way: knee deep water. The portal was flooded. Not interested in risking our nice cameras or wanting to soak our legs on this cold, winter morning, we crept along the right edge of the tunnel for about 50 ft. before the water died off and we reached dry land. Aside from the open portal, no light was in the tunnel except for 1/3 of a mile down at the other end. Wielding flashlights and cameras we journeyed onward. The whole tunnel is lined with wooden railroad ties left behind from when the tracks were removed. Maybe because they were too heavy, maybe to one day install the rails on them for Cincinnati's light rail line. -Railroad ties still remain in the round, brick tunnel. 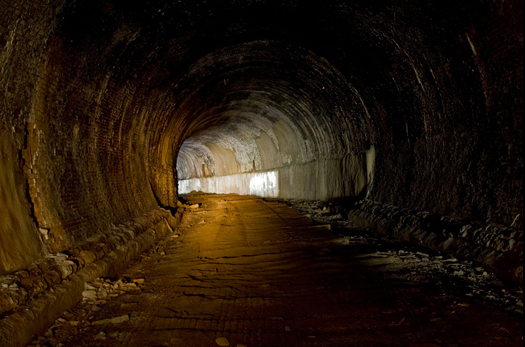 As we journeyed through the tunnel, voices and footsteps echoing, I realized two things: 1) We were probably directly under neath someones home and they probably had no idea any one was down there or that the tunnel even existed. 2) Verizon Wireless phones get service in the tunnel. 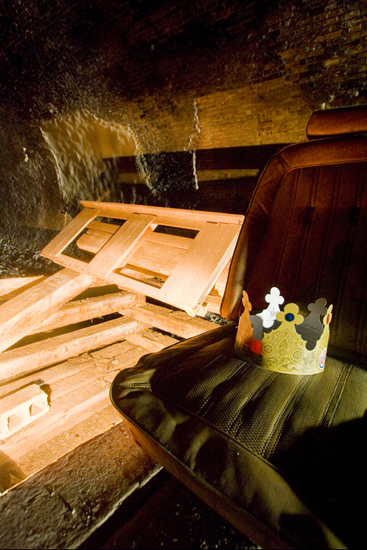 As we approached the tunnel's center we found a stack of wooden railroad ties adorned with the seat from a car and a cardboard crown from Burger King. Was this where the cameramen set up to film Dan Aykroyd during the making of "Ghostbusters 2?" -The shooting platform from the filming of "Ghostbusters 2?" 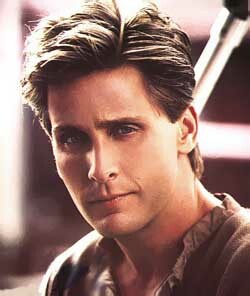 Both Zach and I agreed: "No." A review of the movie clip reveals that the scene was most likely done on a sound stage. Regardless, even if the tunnel wasn't blocked by flooding and dense brush, why would they lug the actors and film crew down to an unused tunnel in Cincinnati to film one scene? 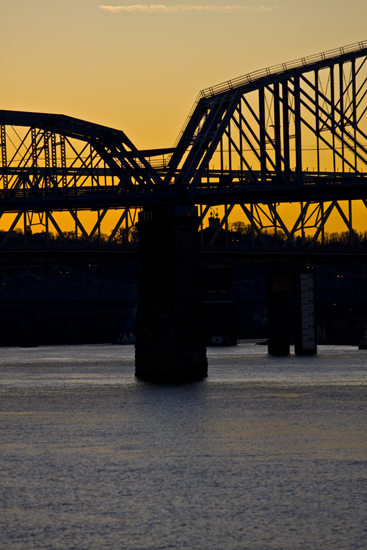 Not to mention, there are no records indicating any parts of the movie were filmed in the Queen City. Now you know. 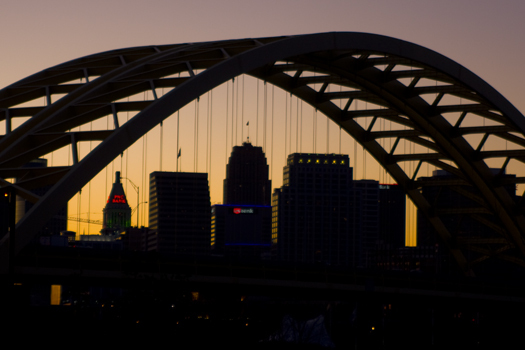 Don't let anyone ever tell you "Ghostbusters 2 was filmed in Cincy" again! Another website suggested that maybe the rail road ties were put like that by local kids playing in the tunnel. I'd sure like to meet those kids, they must be super strong. The two of us could hardly even budge one of those ties, I have no idea how a group of kids could build a fort out of them. The stack of rail road ties remains a mystery. -Panoramic shot of the tunnel. Seeing the South Portal flooded, we decided not to waste time going all the way to the other end. We spent some time taking some long exposure photographs, lighting the tunnel with flashlights. We climbed back up to the highway with a sense of accomplishment. We had finally achieved our goal after the previous weeks setbacks, while hoping maybe one day Cincinnati would finally utilize the tunnel once again for light rail...or even better...let them film a scene for Ghostbusters 3 down there. Since it's Winter, the sun begins to start getting low around 4 PM. After lunch we didn't have much time left to explore. The few abandoned structures we did check out were empty or in the process of being torn apart by scrap thieves. The rest of that cold, sunny day was spent exploring other places, not all Urban Exploration has to be something abandoned. 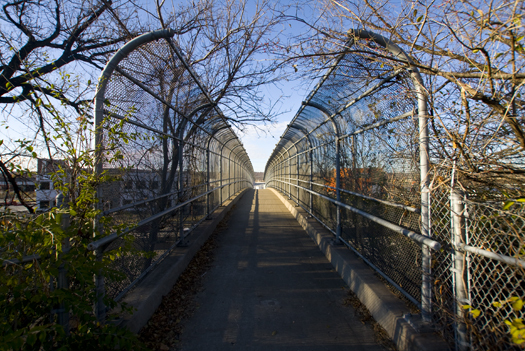 -Pedestrain Overpass to Paddock Rd. -The overpass crossing over I-75. 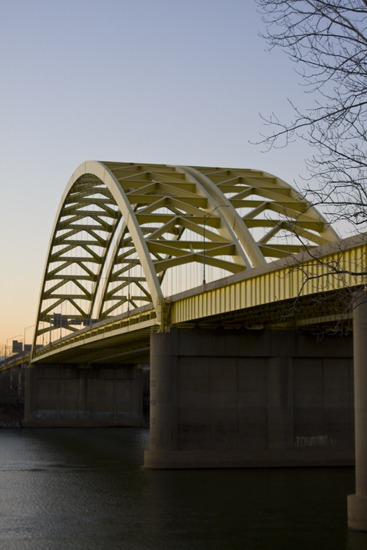 -The Daniel Carter Beard "Big Mac" bridge. 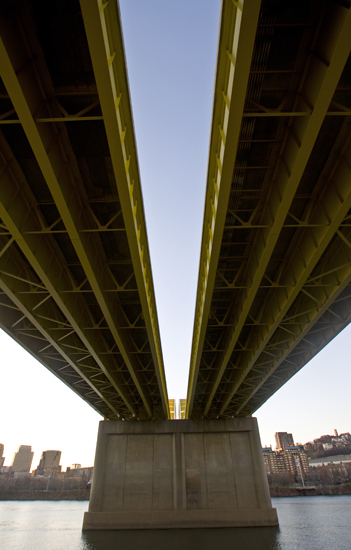 -(Pictured above and below) Beneath the "Big Mac" bridge. Those tunnel shots are amazing...thanks! this is such a badass website? have u ever been in the tunnels under UC>? This is one of the best photo essays we've had locally blogged in ages. Thanks for the adventure and information. The information on SORTAs ownership in very interesting. Thanks for reading everyone, glad you all enjoyed it! wow, those are some great shots. you might be amused. geocachers have known of the site for years, and most of us have been there to visit the geocache hidden halfway in. nice blog.. very nice to know about this topic... nice photos.. really cool..